Deal valid at all 3 locations in East Valley listed below. 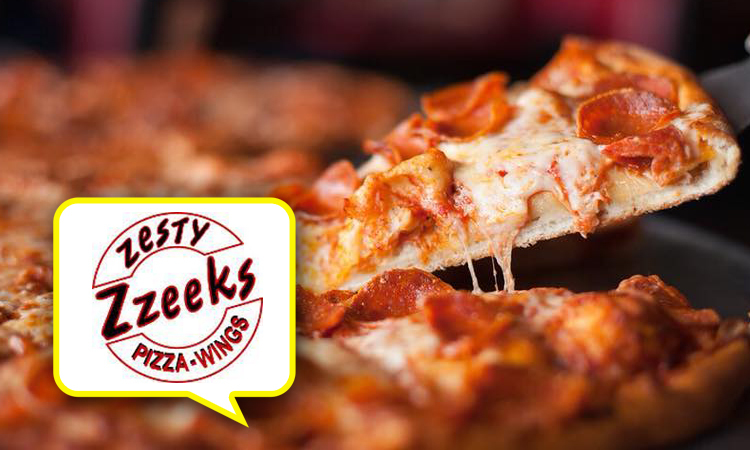 Zzeeks is an Arizona family owned and operated pizzeria with 3 locations serving the East Valley communities of Ahwatukee, Tempe/ASU, and Chandler/Gilbert. We have been awarded 1st place by Ahwatukee Foothills News three years running. We proudly serve New York style pizza, salads, hot sandwiches, pasta, calzones, wings and more! FREE DELIVERY. Don’t forget to join us on a big game day. All of our locations have several screens to enjoy your favorite game. Redeemable at any Zzeeks Pizza – Wings locations listed below. Big Time Timmy’s 20″ One Topping Pizza & 10 Wings for $27.99. Limit one use per customer, per visit. Cannot be combined with any other discount. To redeem, follow the instructions in the offer text at time of purchase. Offer valid at all 3 locations.Deal not valid if redemption code is not presented.